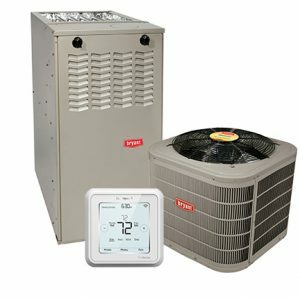 Bryant 80% efficient gas furnaces and Bryant air conditioning systems are an excellent option when you replace your current gas forced air furnace and air conditioning system. The Bryant Evolution System™, Bryant Preferred™ and Bryant Legacy™ 80% efficient gas furnaces offers a variable-speed blower motor and the options of a 2-stage gas valve or a 1-stage gas valve furnaces. Bryant high efficiency air conditioning system air conditioning systems offer optional variable-speed compressors, 2-Stage compressor and 1-stage compressor with SEER ratings that can exceed as high as 20.50 SEER. 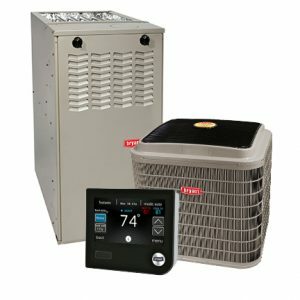 Bryant Connex & HouseWise Wi-Fi thermostats are extremely intuitive, with all-in-one full-functionality control that allows you to connect, control and maintain your whole-house humidification, dehumidification, air filtration and other indoor air quality “IAQ” equipment from one control and one smartphone app. 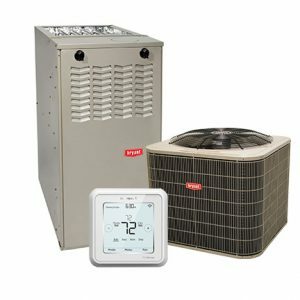 Bryant Heating & Cooling Systems, offer superior comfort, consistent temperatures and ultimate in quiet efficiency. 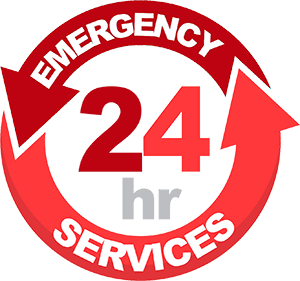 HVAC and utility High Efficiency rebates up to $1355.00 PLUS we offer 25 Months 0% Interest Financing for all your HVAC projects.